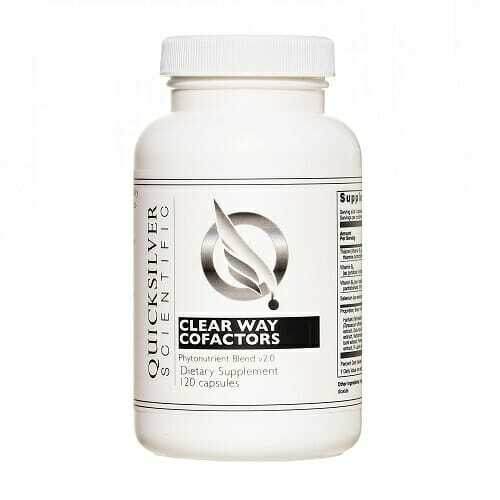 Clear Way Cofactors Proprietary blend of phytoextracted polyphenolics, sodium buffered R-Alpha Lipoic Acid, targeted vitamins, selenium, standardized kelp extract and high-potency Lumbrokinase designed to maximize metal detoxification pathways. Purchasing this product today earns you 52 DR Reward Points! The Clear Way Cleanse Cofactors are a proprietary blend of vitamins and potent antioxidants designed to maximize the functionality of metal detoxification pathways. This blend has shown the capability to upregulate the detoxification systems of the body, particularly the all-important glutathione system. 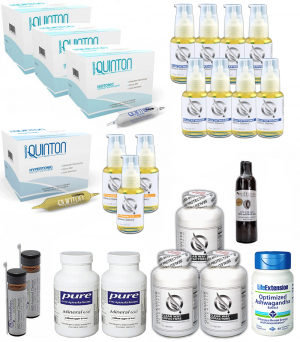 The glutathione system (GSH) includes numerous molecules and enzymes which aid the body in relieving oxidative stress. This process enables the body to repair damaged proteins and to detoxify endogenous (internally created) and exogenous (externally acquired) toxins. In order to truly optimize the functionality of the glutathione system, the cells which make up the core components of the system must be supported. Polyphenolic antioxidants such as Epicatechin (found in pine bark and green tea extracts), have displayed promising efficacy in achieving this via the activation of a cellular master switch called the Nrf2 protein. When activated, this protein greatly supports the cellular production of numerous antioxidants and detoxification molecules. Polyphenols also provide the benefits of powerful anti-inflammatory properties, superior bolstering of internal resistance to carcinogenic substances, and improved passage through the blood-brain barrier. Haritaki – a polyphenolic-rich fruit harvested from the Terminalia Chebula tree. It is used commonly in Ayurvedic health practices where it is considered sacred to the Shiva. Haritaki is also renowned as a quintessential healing plant by Buddhists sects in Tibet who often refer to it as the “The King of Herbs”. In addition, recent studies have shown Haritaki to have extraordinary potential to support the antioxidant and detoxification systems of the body. Pine Bark Extract – among the richest sources of epicatechins and other powerful anti-inflammatory cardioprotective glutathione builders. This potent extract is also used to support the GSH system in its ability to protect and repair from solar radiation. Pomegranate Extract – High in ellagic acid (a natural phenol antioxidant), which has demonstrated an impressive capability to promote glutathione synthesis and glutathione S-transferase activity. Gotu Kola Extract – added for nerve protection. Gotu Kola has been shown to help maintain bodily defenses against gamma-radiation damage to both DNA and numerous membranes throughout the body. Dandelion Extract – added to promote liver protection and the stimulation of bile and urinary flow. R-Lipoic Acid – a potent antioxidant which confers both water-based (cytoplasm) and lipid-based (cell membrane) protection. R-Lipoic Acid is a crucial element for building protection from radiation damage in the body. It has also displayed a tremendous impact on mitochondrial integrity. In addition to the comprehensive cellular protection provided by the formula’s antioxidant components, high-potency Lumbrokinase is included to aid in the breaking down of biofilms in the gut. Said biofilms help to prevent the detoxification and absorption of nutrients. They also lock in dysbiotic intestinal flora. 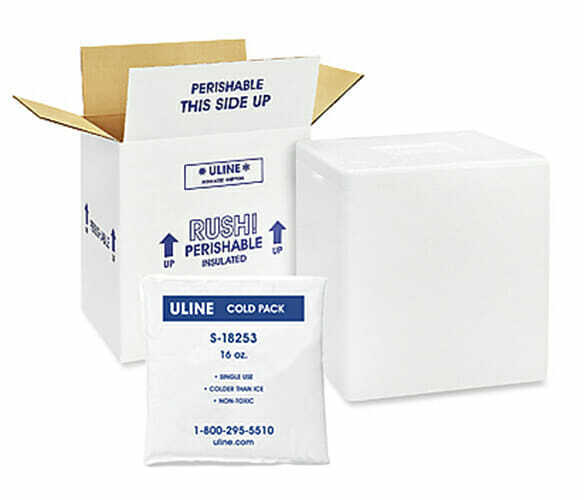 Lumbrokinase has widely documented benefits to the circulatory system as well as the unique quality of possessing strong anti-coagulative properties without producing any risk of uncontrolled bleeding. The fibrinolytic activity of Nattokinase (the strongest of all fibrolytic enzymes) can provide a significant edge in the body’s fight against the accumulation of toxins and subsequent bodily degeneration. Proprietary Blend contains: Haritaki (Terminalla chebula) fruit extract, Dandelion (Terazacum offinale) root extract, Bacopa monniera leaf extract, Bladderwrack (Fucus vesiculosus) whole plant extract, Gotu Kola (Centerllla asiatica) whole plant extract, Nattokinase (soy bean fibrinase, min 20,000 fu/gram), Pine bark extract (Pinus massoniana), R-Lipoic Acid, and Quercetin. Take 3 capsules per day. Start with 1 capsule and increase dosage gradually. 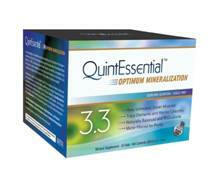 Advanced doses of 6-9 capsules per day can be used for short periods of time. Best taken on an empty stomach. If stomach becomes upset, take with meals. Take separately from the IMD. Note: All timing blocks are flexible (e.g. If there is fatigue, try taking the “On rising” supplements at night.). If Clear Way gives any upset stomach, take with meals. If taking Rentone, take 2-3 per day in divided doses with meals. Days “On” is typically 10 days. Usually patient does 2-4 cycles like this, but more may be needed for strong clinical response. 3. Dvorakova M et aI., The effect of polyphenolic extract from pine bark, Pycnogenol on the level of glutathione in children suffering from attention deficit hyperactivity disorder (ADHD). Redox Rep 2006,11 (4): 163-72.